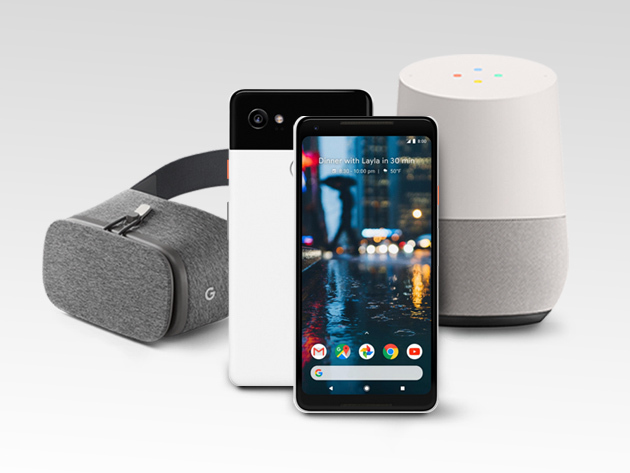 So sure, we could trick you out with the latest, coolest new tech and just give you a Pixel XL 2… but instead, we’re also gonna throw in a Google Daydream View VR headset AND a Google Home smart speaker in this New Google Pixel and Friends Giveaway from TNW Deals. Just like the original Pixel a year ago, the Pixel XL 2 is threatening to raise the bar on everything a smartphone can do. Rocking a 6-inch screen and a ridiculous 2,880×1,440 resolution, the Pixel may be the best looking phone ever made. And Google is already claiming the Pixel’s 12-megapixel sensor camera is scoring markedly higher for image clarity than the iPhone 8 and the Note 8. As if that wasn’t enough, you’ll also get the equally praised Daydream View VR system and a Google Home unit to get your entire life synced and automated. Can’t beat that for the low, low price of free, huh? All you’ve got to do is enter the drawing and get picked… not too hard, right? You can even increase your odds if you get a friend to join as well. That’s nearly a $1,000 worth of cutting-edge, prime Google tech all for free… so get your registration in before Nov. 25 to win. Good luck!